Asfendiou is a small picturesque village situated just 14 kilometres south west of Kos Town on the slopes of Mount Dikaios. Asfendiou is not a place that you would stay for your entire holiday as there’s very little there but well worth a visit as the lush vegetation, natural springs and stone built houses make this a beautiful area to spend a few hours. There is a couple of tavernas and some accommodation available but not much so if you want to stay here you can but book early to avoid disappointment. 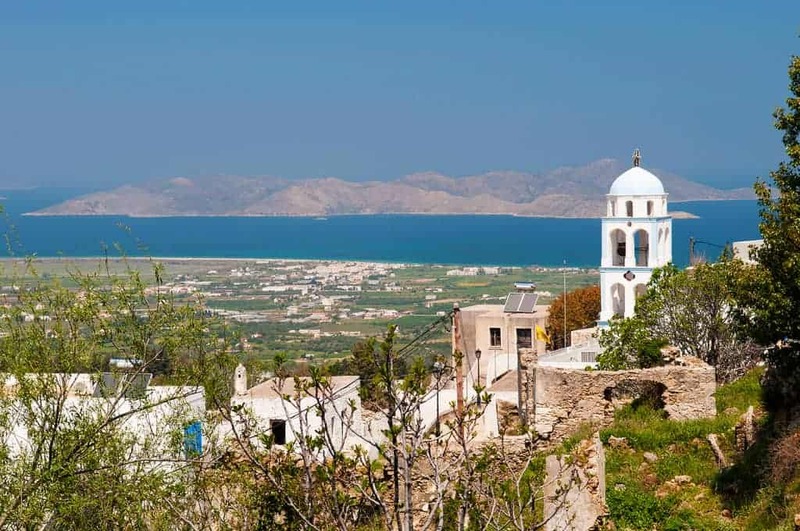 Also in the area is the gorgeous village of Zia which is a must see when in Kos, particularly at sunset when it’s incredibly popular, alternatively head for the top of the mountain to take in the fantastic views of the island from the top. The nearest beach is probably Tigaki beach on the north coast which is a popular tourist beach offering all the facilities you’d expect. If you have photos from Asfendiou that you would like to share please use the form below to send them to us. We want Which Greek Island to be as accurate and informative as possible, so, if you notice anything wrong with this listing about Asfendiou or any other page please let us know. We’re also on the lookout for great photos to show people what the places we’re describing are like. If you have photos from Asfendiou or from any of the other places on the site then we’d love to see them, simply click the button below to go to the photo upload page. Thanks.